Trucking – J.R. Bruender Construction, Inc. When you have rock, demolition debris, compost, or more that needs to be hauled, rely on trucking services from J.R. Bruender Construction, Inc. You'll get efficient hauling from a knowledgeable team with the experience you expect. 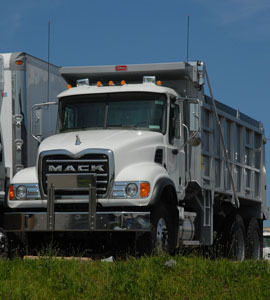 Need hauling, but want to know just what it will cost before you commit? Get in touch with J.R. Bruender Construction, Inc. for a FREE estimate today.